Unified Family District Court Judge Marvin Pope announced his bid for election to the Superior Court bench in early 2010. During the nine month campaign effort, Gina assisted Judge Pope’s Campaign as a facilitator and marketing consultant, designer, and volunteer. Judge Pope won election to the 28th Judicial District’s Superior Court and took office on December 1, 2010. Judge Pope will now have the opportunity to make a difference in the lives of many of North Carolina’s court-associated citizens. A long-time technology buff and specially trained in therapeutic courts, Judge Pope’s leadership will represent forward movement in many areas of the judiciary in North Carolina. We are so pleased to have been involved in such an impactful and worthwhile project. Judge Pope is an asset to Buncombe County and all of North Carolina. 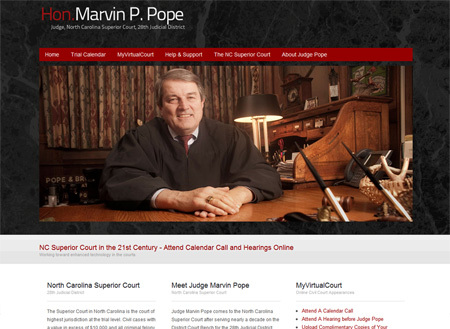 Judge Pope’s Superior Court site launched in February 2012. 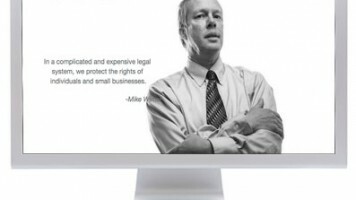 Print Media/Branding: Branding Judge Pope’s campaign started with new photography. 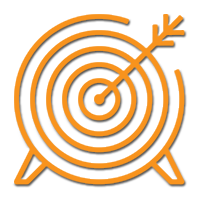 From there, we created created business cards that contained valuable information in a small, easily portable format. We used these cards more than any other print based product in the campaign. 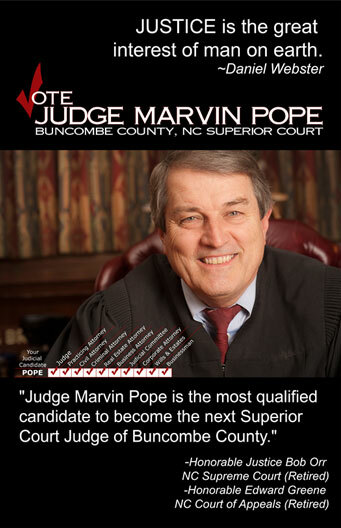 Campaign Website: Judge Pope’s campaign website included all of the information people needed to make an educated decision about the importance of a strong judiciary in North Carolina. The site also included Judge Pope’s appearance calendar, radio and video clips from the campaign trail, forums to accept donations, to publicly acknowledge support and to volunteer for specific campaign projects. 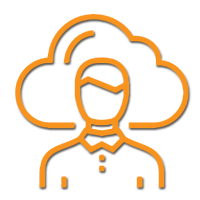 Campaign Administration/Facilitation: Gina also aided the campaign by establishing an online collaborative information exchange through 37 Signals Basecamp project for campaign volunteers. 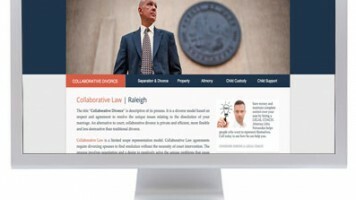 Many of the lawyers and other volunteers were unfamiliar with such collaborative tools, but Judge Pope was fearless and revelled in his ability to communicate, share to do lists, files and deadlines, create meeting notices and invitations and other group and organizational functions remotely and online. 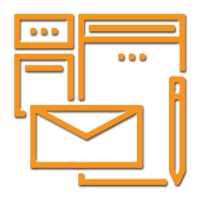 Judicial Website: In 2012, Judge Pope’s judicial website was launched featuring VirtualCourt©, NC Legal Marketing’s portal for lawyers to attend hearings and other court appearances online.